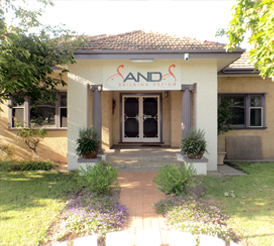 Based in Bairnsdale, SandS Building Design is a design service that was established in 2007 to cater for those who want to accomplish their dream of creating a uniquely designed home. Specialising in Residential and Commercial projects, we have an established track record of successful projects and satisfied clients. SandS Building Design takes the project from concept planning through to working drawings, with a highly skilled professional team working together, using common sense and practical experience. The Company offers innovative and economical design services, maintaining state-of-the-art Design, Modeling and Drafting technology and offer three-dimensional visualisation services to reduce the possibility of spatial conflicts with building elements and engineering disciplines. We have fostered several alliances with qualified Engineering professionals to supplement our Building Design, who specialise in Structural Design and Analysis which are areas that we can afford to contract out without risking the core values provided to our clients. The Proprietors, Reini Strecker and Clinton Smith, have a combined 60 years experience in the building industry involving both building design and structural drafting. Removing uncertainty, we provide total clarity and direction, embracing the opportunity given to us by our clients to enhance their investment with innovative design. SandS Building Design combines form and function with creativity to produce your ideal home, free of boundaries.